Engineers and technicians prepping Orion for its first flight test Dec. 4 began putting the finishing touches inside the crew cabin today and will continue the work through the weekend. Although Orion will not carry any people on its flight test, it’s designed for astronauts, and engineers want to find out what conditions will be like inside the cabin as Orion travels through high radiation and extreme temperatures during this flight test. 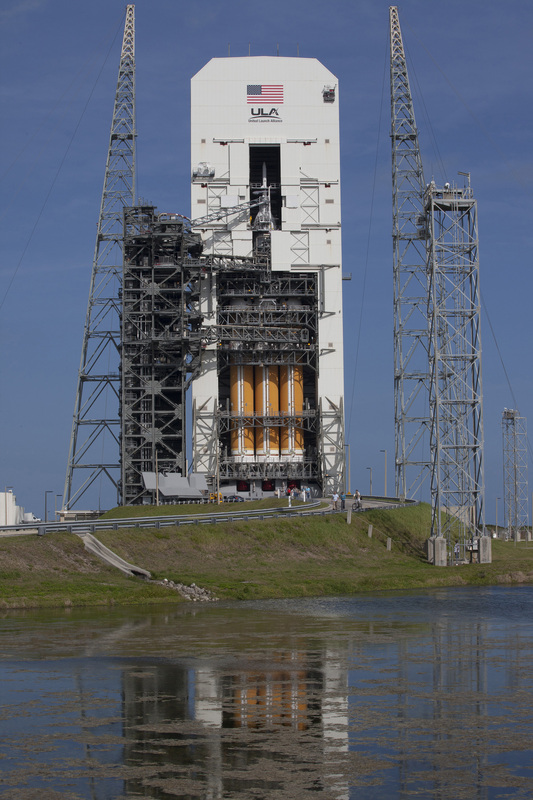 Launch pad teams also will start on a lengthy list of closeout duties to make sure Orion and its vital instruments and recorders are ready for space. 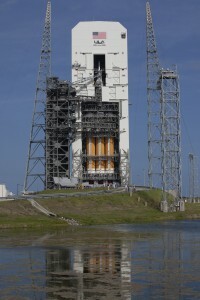 The steps will set the stage for the first launch week in Orion’s career. The spacecraft and its United Launch Alliance Delta IV Heavy rocket are on track to lift off Thursday at 7:05 a.m. EST, the opening of a 2 hour, 39-minute window for the day. We’re cutting the ribbon this week on our new Orion Blog to bring you the most up-to-date, official news and status on the development, flight testing and operations of NASA’s Orion spacecraft which is being designed and built to carry astronauts on deep space missions in the future to an asteroid and eventually to Mars. The Orion teams at Johnson Space Center in Houston, Kennedy Space Center in Florida and at other centers throughout the agency are preparing for the first flight test in December, a two-orbit, four-hour mission that will see an Orion spacecraft launched on a Delta IV-Heavy rocket without a crew so that engineers can evaluate its heat shield and other critical systems. The mission calls for Orion to fly some 3,600 miles above Earth to achieve the speeds needed to test the heat shield in conditions approaching the demands of a return from deep space. It’s a fascinating flight profile that NASA has not flown with a human-rated spacecraft since Apollo. 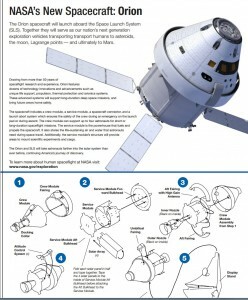 So check back here on the Orion Blog often and we’ll do our part to let you know what is going on with America’s newest spacecraft for human space exploration!